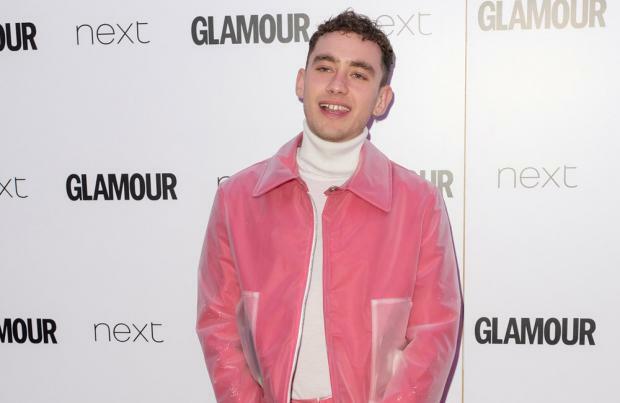 Olly Alexander came close to quitting Years & Years after his public split from Neil-Amin Smith. The 'If You're Over Me' singer has admitted his break-up from the former Clean Bandit violinist in 2015, after a year of dating, hit him hard because not only was he dealing with the pressures of being in a touring pop group, but he also struggled to cope with the intense spotlight surrounding the end of their relationship, and nearly gave up his career as a result. Appearing on George Ezra's 'George Ezra & Friends' podcast, he admitted: "I was in this relationship at the time with this guy Neil from Clean Bandit and that was sort of becoming a bit public. "Suddenly there was this moment where we were breaking up, basically, and I had been on tour for about two years and so many things had changed, and our relationship was being talked about in the press, and I just felt like it wasn't worth it. "I was like, 'I just do not want this in my life, I'd rather not have any of this.'" A lot changed for the 28-year-old frontman when Years & Years were propelled into the spotlight following the release of their first record, 'Communion', which was the fastest-selling debut album of 2015. Despite being in the public eye, Olly is grateful that he is now able to support his family and even pay for the drinks on a night out, which he "dreamed" of as a teenager. He told the 'Shotgun' hitmaker: "This things that success came with, things I always dream about ... like I don't come from money, but earning money allowed me to provide for my family, and support them, and support myself, and it's changed my life for the better. "It's very weird to go from not being able to go out for a drink as it's way easier to stay at home and drink, for me to go, 'I can pay for us to go.'" Meanwhile, Olly previously admitted he felt "miserable" and "angry" when he and his bandmates couldn't agree on songs for their second album. The trio – completed by Mikey Goldsworthy and Emre Turkmen – experienced a "nightmare" process making 'Palo Santo' and on top of having creative differences for months, their record label Polydor were just as "angry" that they didn't have the songs ready. The 'King' singer spilled: "We could never agree on what sounded good or what we liked. "Then six months down the line, we still had no songs and the label were really angry and annoyed." On top of the band's difficult second record, Olly was also going through an emotional time with his troubled relationship with his father. The two things combined made Olly's success feel like a "fairy tale" gone wrong. He admitted: "It was a nightmare. I felt so miserable and I was so angry because I'd worked so hard to be in this position, and it's very weird to feel like you're in this fairy tale that's going wrong and you're desperate to put it back on the right track." The 'Sanctify' hitmaker says in the end, the band agreed to follow his vision for the record and they put their differences aside. He said: "Ultimately, we do love each other."